Every day, vulnerable animals come to the Home in need of shelter and care. Tragically, some of them are the victims of unimaginable cruelty. When Jack arrived at our North Melbourne shelter in June this year, we were shocked and saddened to see that he had a gunshot wound to the head. 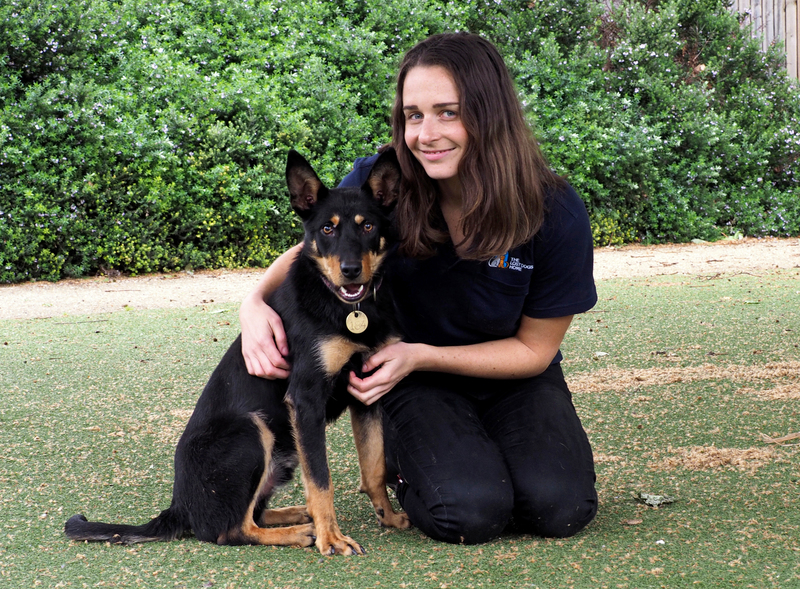 The 10-month-old kelpie cross was in a bad way, and our shelter medicine team wasted no time tending to him. 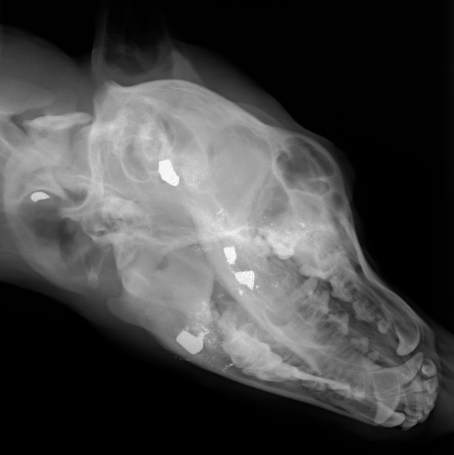 X-rays showed that Jack’s skull was littered with metal fragments. He also had trauma to his left eye and showed neurological signs. His prognosis didn’t look good. Our team was prepared for the worst. They were heartbroken by Jack’s tragic start to life, but determined to do all they could to give him the best chance of a future. Fortunately, Jack’s condition began to improve. This was an incredible relief to the team that had worked tirelessly to save him. As Jack’s condition improved, so did his happiness. He showed a real zest for life, enjoying TLC from his carers at the Home, and playtime in the exercise yard with some new canine friends. Even though he was feeling better, Jack wasn’t out of the woods yet. Our friends at Southpaws kindly provided a free CT scan for Jack so we could take a closer look at the injuries to his head. Five metal fragments were found in Jack’s skull, but they were not a danger to his health or well-being. In fact, surgical removal of the fragments was not recommended. With any foreign body, there is a small risk of infection in the future. However, specialist vets have advised that in Jack’s case, this is very unlikely. He will need to be monitored for neurological signs, but he is otherwise a healthy and happy dog. Jack needed two surgeries to repair his cherry eye – a condition where the gland in the third eyelid prolapses and protrudes from the eye. He spent more than two months in foster care so he could rest and recover in a nurturing home environment. Despite his horrific ordeal, Jack is a happy and loving dog. Thanks to the life-saving work of our shelter medicine team, and the dedication of our animal attendants and Jack’s foster carer, he overcame the odds. Now, Jack is ready to find a forever home with a family that will give him the lifetime of love and care he deserves. Jack is looking for a special someone who is excited about the fun and challenges of sharing their daily life with a working dog. He’ll need further training to learn new skills and build his confidence, as he can be unsure of new people and noises. Jack may be happy sharing his new home with another friendly dog, but he’s best suited to a home with no cats. 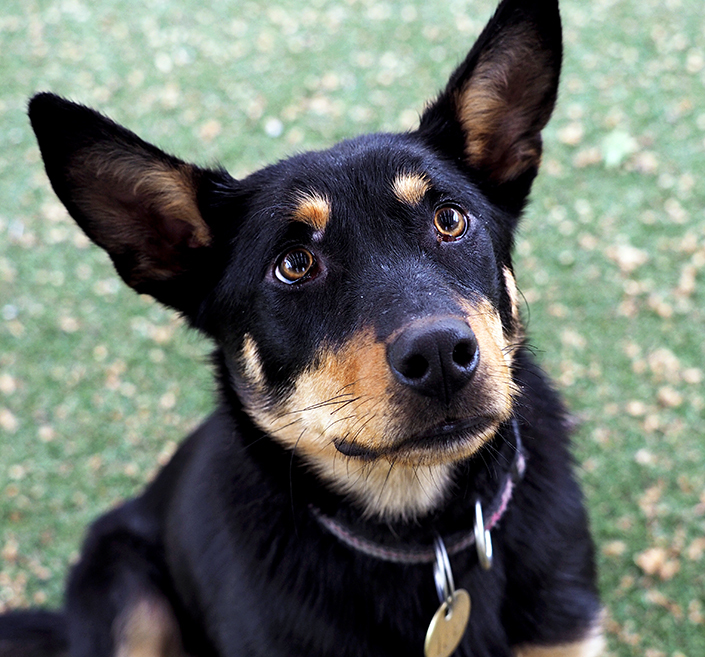 Jack will make a loving and loyal family companion. He can be overwhelmed at times, so is looking for an adult home or family with teenagers. 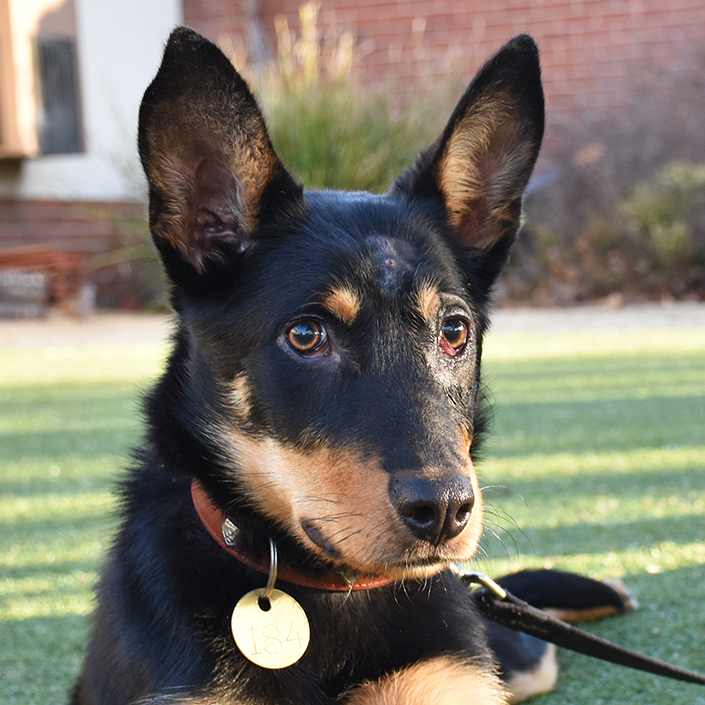 If you can offer a special home to a very special dog, please contact our adoptions team on (03) 9329 2755 to learn more about Jack (animal ID 1014936).